Even if in small format, the opening shows up to 8 scenes. 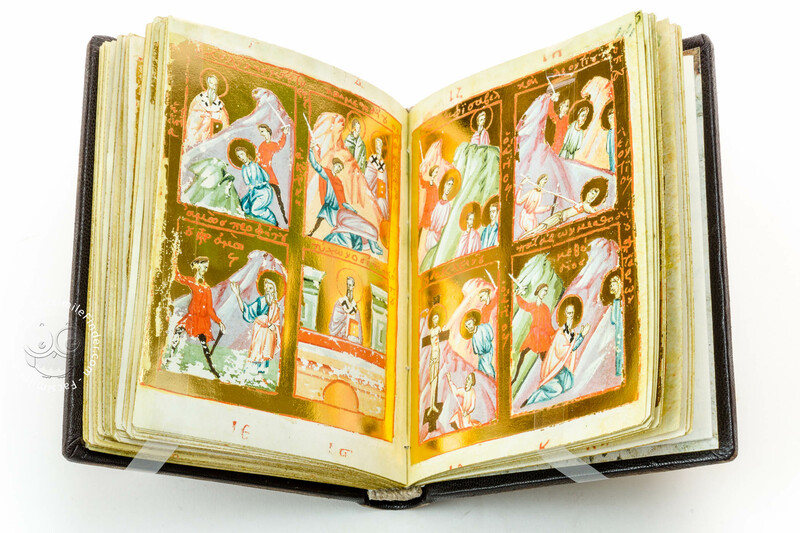 The Oxford Menologion is one of the most richly illuminated Byzantine manuscripts. 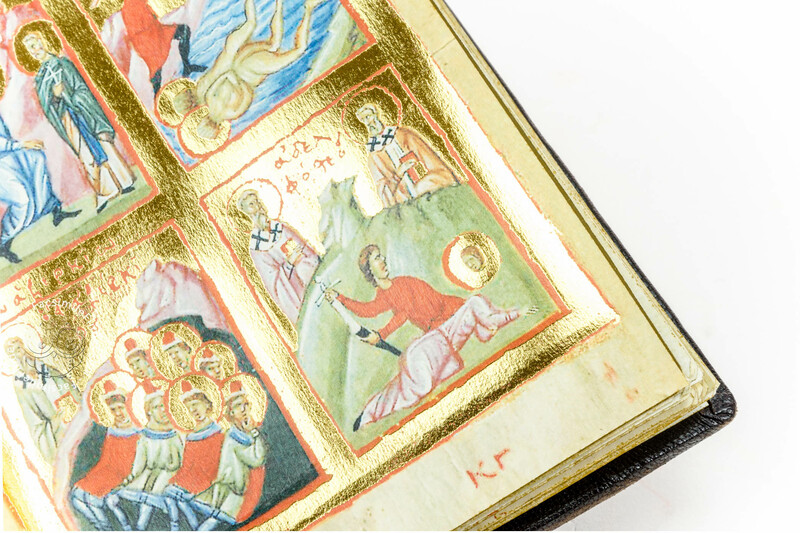 The codex, also known as El Menologio de Oxford, was written and illuminated in the mid-14th century and it features 103 beautifully illuminated miniatures and no narrative text. 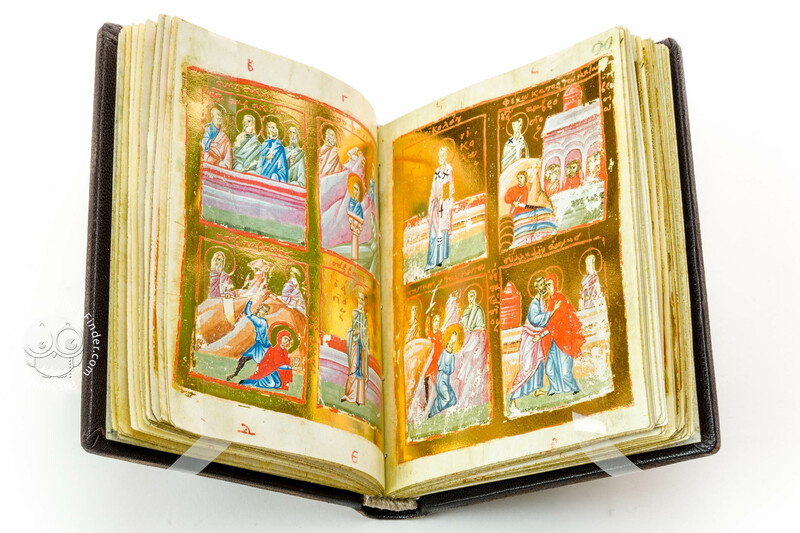 Containing no text with the exception of short inscriptions within the miniatures, the Oxford Menologion – whose time of production cannot be fixed to a precise date – exhibits an outstanding iconographic apparatus with 368 single scenes, distributed among 103 miniatures. 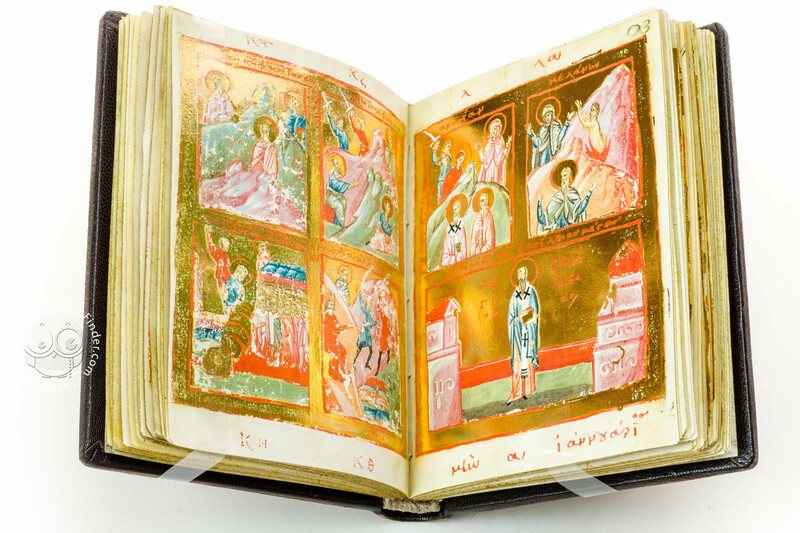 Despite its small format, the Oxford Menologion is justly considered a lavish manuscript due to the rich use of gold and vivid colors. The sequence of miniatures is to be distinguished into three different parts: ff. 1v-6r featuring the main events in the life of Christ, ff. 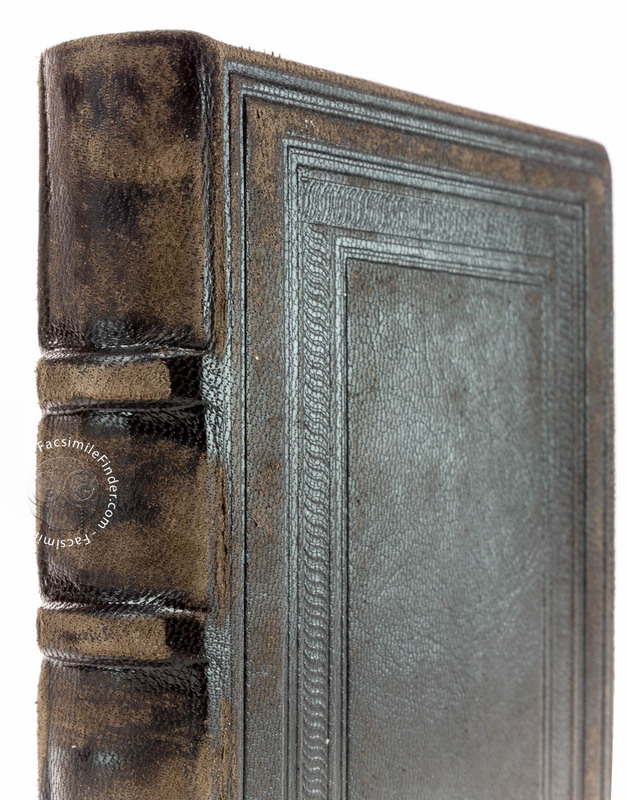 7v-53v dedicated to the Menologion – the calendar of the saints – and ff. 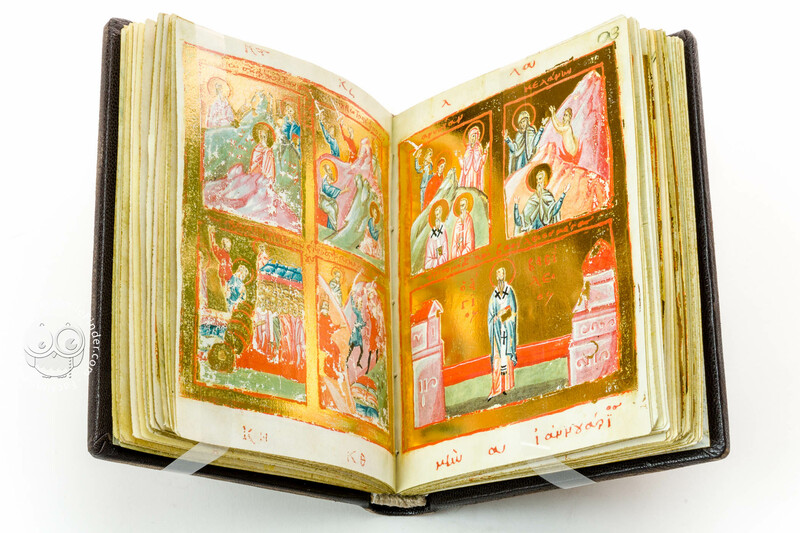 54v-55r portraying the patron saint of the owner, St. Demetrios. 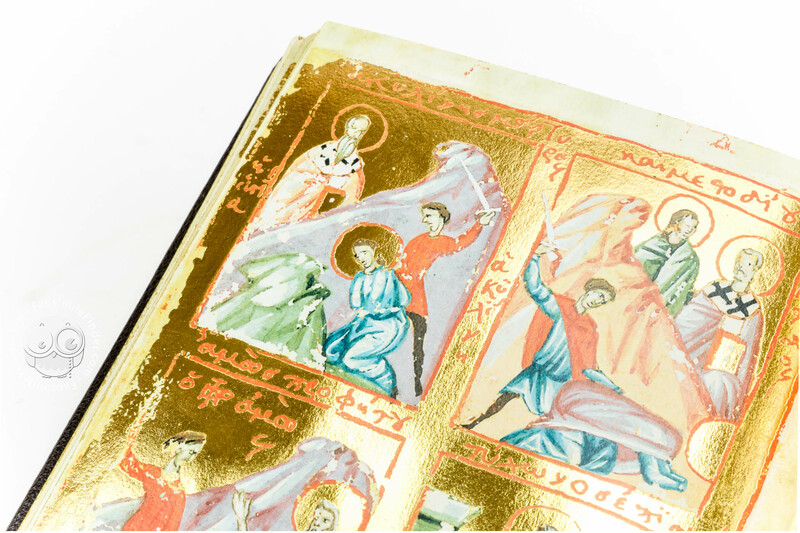 Despite a few difficulties due to poor planning, the manuscript displays an impressive artistic coherence. 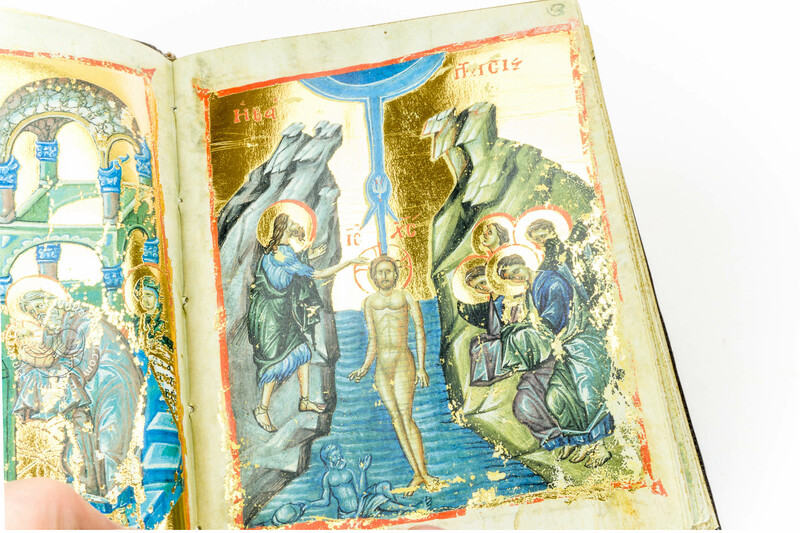 From an iconographic standpoint, two artists have been identified as the authors of the 103 miniature and they have been named after what are considered to be their illustrations, respectively the painter of the Feast and the Demetrios cycles and the painter of most of the Menologion. Although both belonging to the same artistic style, the two artists differ in quality and technical skills. 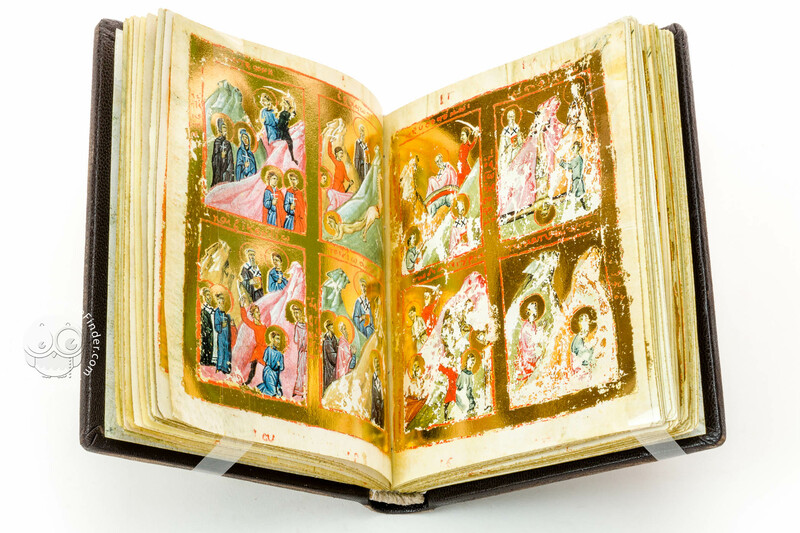 While the painter of the Feast and Demetrios cycles betrays a strong influence from high Palaiologan art, characterized by swift movements, flowing garments, the miniatures created by the other painter are the work of a less experienced hand. Indeed, the painter of most of the Menologion seems to reduce the fluency of the style, tending to the painting of stereotypes. 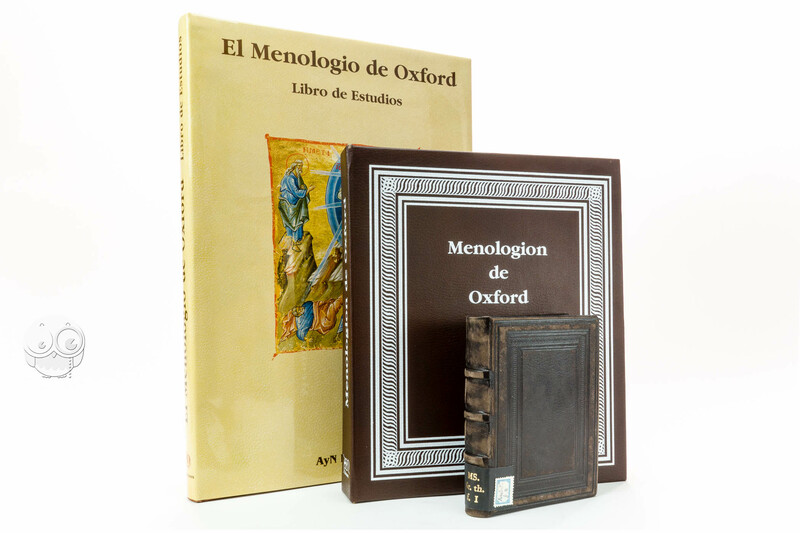 Nevertheless, iconography of the Oxford Menologion exhibits an outstanding color scheme. 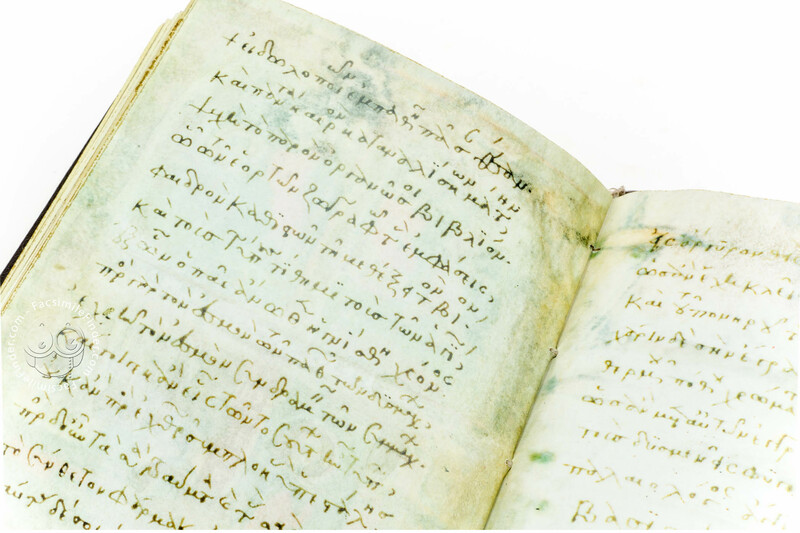 Reference is made to the patron and owner of the book, identified as one as Demetrios Palaiologos Angelos Dukas, a member of the Palaiologoi, the last ruling dynasty of the Byzantine Empire (1259-1453), and the youngest son of emperor Andronikos II. 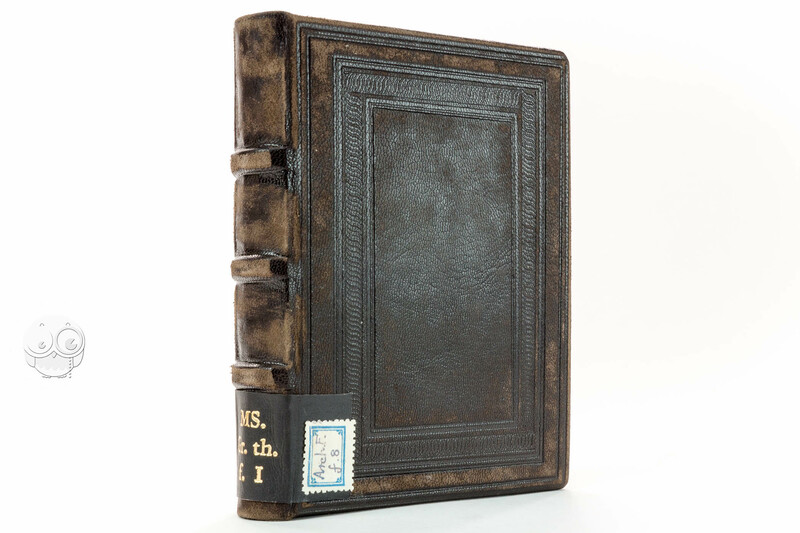 Unfortunately, like many medieval manuscripts, the Oxford Menologion lost its original binding and currently features a 16th century English binding characterized by brown stamped leather, once fastened with two metal clasps. 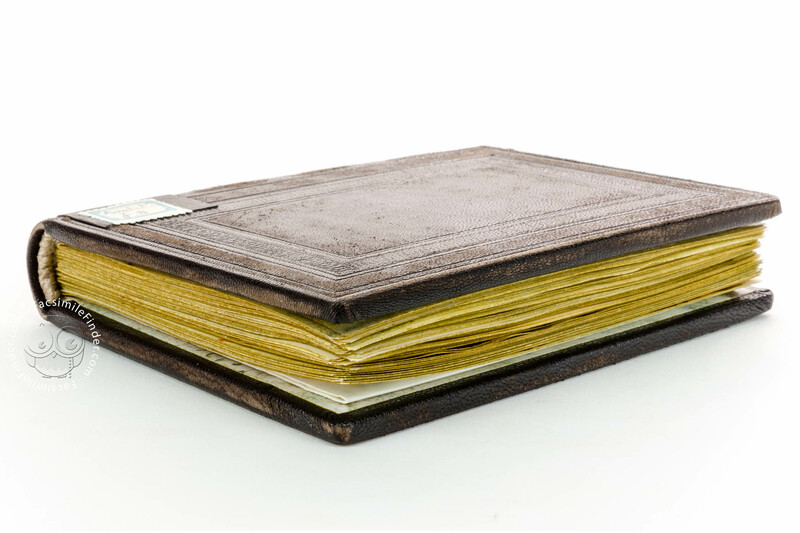 According to the poem, the original binding featured silver and gold covers decorated with pearls. 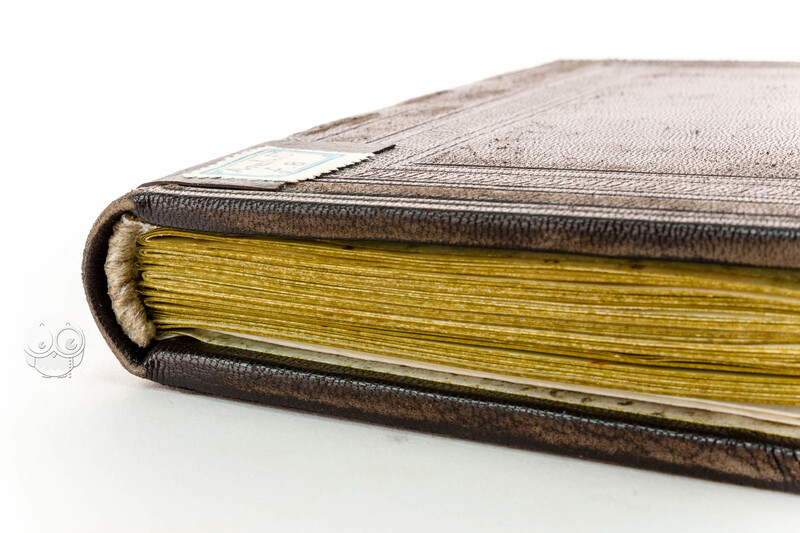 Manuscript book on parchment − 12.6 × 9.5 cm − 120 pp. 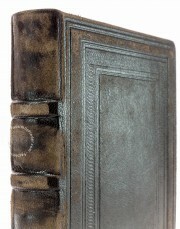 Full-size color reproduction of the entire original document, Oxford Menologion: the facsimile attempts to replicate the look-and-feel and physical features of the original document; pages are trimmed according to the original format; the binding might not be consistent with the current document binding.